Bright, healthy, white teeth are considered a sign of beauty and vitality all over the world. While a lucky few may be blessed with naturally light-coloured teeth, as time goes by, everyone’s smile starts to lose its glow. Day to day life takes its toll on your smile. Things such as smoking, drinking wine or coffee, or eating certain foods can lead your teeth to stain and discolour over time and means our teeth become darker in colour as we age. That’s why we offer only the very best in home teeth whitening solutions to our patients in Hertfordshire – and we believe that solution is White Dental Beauty treatment. A global leader in the teeth whitening market, White Dental Beauty provides visibly whiter teeth in less than one week. So, if you’re looking to combat the signs of ageing, if you want to add the final touch to newly straightened teeth, or if you want to achieve the smile of your dreams, White Dental Beauty is a safe, powerful, and cost-effective way to do it. Teeth whitening is proven to be effective for more than 95% of discolouration cases. That’s thanks to the incredible power of carbamide peroxide and hydrogen peroxide: two medical grade teeth whitening solutions that work to whiten your teeth from the inside out. We offer a range of different strength teeth whitening gels which can whiten your teeth with as little as thirty minutes’ wear time a day – there’s also a mild solution for those with sensitive teeth. All of our White Dental Beauty products at our Hatfield practice also contain both potassium fluoride and optimal water content to reduce sensitivity and ensure your treatment is as comfortable as possible. When you come in for your teeth whitening consultation at our Hertfordshire practice, you’ll get the chance to sit down with our cosmetic dentistry team. Dr Karen Andrews- your dentist will ask you some questions and assess your teeth to decide which of our White Dental Beauty treatments will work best for you. If everyone is happy to go ahead, you’ll be fitted for your bespoke teeth whitening tray. We will take impressions of your teeth so we can create a custom mouth tray that fits perfectly and comfortably in your mouth. You’ll receive your White Dental Beauty gel and follow our simple guide to perfectly white teeth. Your dentist will explain exactly how much gel to use, how to use it, and how long you should wear your teeth whitening tray each day to get the results you’re looking for. After brushing and flossing your teeth, simply put the amount of gel into each compartment of your tray as shown in your easy-to-follow instruction guide. Once your tray is in the right place, you can remove any excess gel using a soft toothbrush and rinse your mouth without swallowing. You can then go about your day as normal for the exact amount of time recommended by your Hatfield dentist. Then, at night, simply remove your tray and clean it thoroughly. You then repeat this process every day until you get your desired level of whiteness. If you’re still wanting an even brighter effect, simply contact the surgery to arrange for some more gel syringes. We’re often asked by our patients about what makes White Dental Beauty so effective. It’s thanks to its patented Novon technology that you can’t find anywhere else. Novon allows for an enhanced whitening effect by only activating its stain-removing power upon application. This rapidly accelerates White Dental Beauty’s bleaching action while remaining safe and gentle to your teeth and gums. Our teeth whitening solutions for sensitive teeth are just as effective in brightening your smile as the original formula. In fact, independent studies have found that the exact same shade results were seen in patients using White Dental Beauty’s Mild 5%CP with Novon as compared with those using a 10%CP gel from a competitor. This gives you the assurance that you’re getting the best possible results while being kind to your teeth. Teeth whitening – even at home teeth whitening – uses special whitening chemicals to bleach your teeth. That’s why this treatment should only be carried out by a fully qualified dental professional. You may have seen over-the-counter teeth whitening kits and beauty salons offering similar types of treatment. What you may not know is that, in the UK, it is a criminal offence for non-dentally or medically trained people to offer teeth whitening treatment. The main reason for this is that you must be clinically examined for dental health issues beforehand to make sure the treatment is safe for you. Untrained practitioners can potentially damage your teeth so you should always make sure that you always go to a highly qualified professional for your cosmetic dental treatment. Professional whitening systems from White Dental Beauty are only available through approved dentists. At Distinctly Dental in Hertfordshire, our expert dental team are highly skilled and experienced in cosmetic treatments such as teeth whitening. 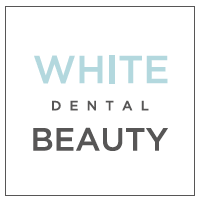 To find out more about White Dental Beauty at our Hatfield practice, give us a call today. We also use the highest percentage of professional peroxide with Novon that is suitable for you to get the best possible results. Your dentist will be able to tell you more at your consultation. We have ensured our prices are extremely competitive when compared to other dentists in Hatfield and surrounding areas. To see our latest prices please see our fees guide. If you’re ready to smile brightly and confidently again, book your teeth whitening consultation with our expert dentist, Dr Karen Andrews. Call us on 01707 263404 or visit us at our Hatfield practice to make your appointment today. For more information on Teeth Whitening or to book an appointment call us today on 01707 263 404 or make an enquiry. Before bleaching treatment , we will perform a thorough dental examination so we know that you are in good dental health. This includes documenting the current shade of your teeth. There will also be a general medical history form to complete including life events, and consumption habits as they might relate to the current colouration of your teeth. Collecting this information will help us to identify the nature of your tooth discolouration as well as assist them in determining if tray teeth whitening is an appropriate means by which to attempt a change. Once we have ascertained the most likely cause of your tooth staining, we will be able to provide you with an idea regarding what degree of whitening might be expected, how long the bleaching process might take, and what side effects might be anticipated. Taking impressions for the bleaching trays. One important feature of teeth whitening systems that both increases their effectiveness and minimizes their side effects is that they employ the use of “custom” bleaching trays individually fabricated and fitted for the person who will wear them. The first step is to take impressions of your teeth. From these impressions the home bleaching trays will then be crafted. We will demonstrate how to place teeth whitener in the bleaching trays. The whitener is a thick gel that comes in small syringes. We will show you how to apply the whitener into your bleaching trays, so minimising the amount of whitening gel that is used during each application. Wipe any excess whitener away with your finger or a toothbrush. Try to use a little less next time if this happens as it has no extra effect whatsoever and is wasted. Teeth whitening treatments can be performed overnight. We will make recommendations about wearing your bleaching trays. The option we recommend when using the carbamide peroxide whitener at home is to wear the bleaching trays for only two hours. Most home whitening gels are effective for periods extending up to eight hours, but really the most effective time is the first 2 hours,hence this is the time we recommend. At a follow-up appointment we will ask you if you have experienced any side effects from the bleaching process. If you have, we will make recommendations regarding ways to address and manage them. This does not mean that if you are experiencing side effects you should wait until your next scheduled appointment to bring them to our attention. You should always feel free to contact us regarding any problems or difficulties you have encountered. If we feel that more whitening is possible, we will dispense additional whitener to you at a nominal cost. Once the whitening process has been terminated there can be a period of time, possibly two weeks or so, during which the shade of your teeth may relapse slightly before finally stabilizing. Once the shade of your teeth has stabilized we can make plans to begin the process of replacing your aesthetic existing dental work so any restorations will match the new shade of your teeth. How long will the whitening effects last? The whitening effects that a person achieves can last somewhat indefinitely but in most cases a "satisfactory" shade change is found to last on the order of two to four years. There are various factors that can affect the colour of a person’s teeth. Internal stains such as tetracycline or fluorosis won’t return. Even though a person’s teeth have been whitened, agents such as coffee, tea, curry, and tobacco products can colour your teeth. You can expect to perform touch up whitening treatments more often if you smoke or consume food and beverages that are known to stain teeth. A good way to maintain your white smile is to use whitening toothpaste. Are tray-based teeth whitening systems utilising a carbamide peroxide whitener safe to use? While it is important to know that a teeth whitening system can be effective, it is clearly much more important to know that it is safe to use. This research has led to the general consensus that while this technique is not without side effects, dentist-dispensed at home tray-based teeth whitening systems utilising carbamide peroxide whitener (that releases 6% hydrogen peroxide) are safe to use. Will carbamide peroxide teeth whiteners cause cancer? Concerns have been postulated that teeth whiteners can possibly cause cancer of the soft tissues of the mouth. These concerns are related to the fact that the peroxide contained in teeth whiteners breaks down to form molecules called “free radicals.” Free radicals are capable of causing cellular damage. The appropriate use of dentist-monitored teeth whiteners containing carbamide peroxide have not been shown to produce a carcinogenic risk. • The concentration of hydrogen peroxide produced by these whiteners is low and studies involving hydrogen peroxide at this low concentration have not shown a carcinogenic risk. • When using custom bleaching trays fabricated by a dentist the contact between the tooth whitener and a person’s soft tissues (“gums”) is minimal. • One of the human body’s main defenses against the adverse effects of peroxide is a compound found in saliva. This compound has been calculated to be able to effectively neutralize about 30mg of peroxide in one minute. The typical single application of carbamide peroxide tooth whitener is only 3.52 mg.
• Calculations have estimated that on average the total amount of peroxide that a person is exposed to each day when bleaching their teeth is less than 0.1% of the daily production of peroxide created by their liver. Will carbamide peroxide teeth whiteners damage tooth enamel? Studies evaluating carbamide peroxide whiteners have found minimal or no effect on the microhardness or mineral content of tooth enamel surfaces. Two clinical cases have been documented in dental literature where the use of an over-the-counter teeth whitener has adversely affected the enamel of a person’s teeth. These cases involved whiteners that had either: a high peroxide content, an acidic pre-rinse, or the whitener itself was acidic. These chlorine based whiteners were purchased and used without the oversight of a dentist. The tooth damage caused was irreversible and the dental treatment needed to repair the damage involved significant effort and cost. Will carbamide peroxide teeth whiteners damage the nerve in my tooth? Research studies and the clinical observation of the dental community as a whole have not identified a problem associated with the use of dentist-dispensed teeth whitening systems utilising a carbamide peroxide whitener and the health of the nerve tissue found in the user’s teeth. One study’s specific findings were that no one in their 4.5 and 7-year follow up groups reported requiring root canal treatment for any tooth that had received whitening treatments. What side effects can be expected with teeth whitening systems utilising carbamide peroxide whitener? Side effects can and do occur when using any carbamide peroxide whitening system. The two most common side effects are tooth sensitivity and gum irritation. Other, much less frequently reported, side effects are: sore throat, tingling of the oral tissues, and headaches. While the side effects that a person encounters during their whitening treatments can be intense enough that the bleaching process must be discontinued, they are usually only minor in nature and short term. A) Tooth sensitivity (hot and cold sensitivity, air sensitivity, tooth pain). Probably the most common side effect that people notice when performing at-home teeth bleaching treatments is increased tooth sensitivity. This sensitivity can take a variety of forms. It can be thermal sensitivity (a response to hot and cold temperature variations such as those produced by foods and drinks), sensitivity to air (such as when a person breathes through their mouth), or just tooth pain. Easily half of all patients who bleach their teeth do notice at least some transient tooth sensitivity. Solutions for tooth sensitivity caused by whitening treatments. If you do notice tooth sensitivity in conjunction with your whitening activities you should feel free to report it to your dentist. In most cases they can help you control the degree to which you experience the sensitivity by either suggesting that you reduce the amount of time that you wear your bleaching trays each day or by recommending some simple palliative measures. One of these palliative measures can be the use of an anti-sensitivity toothpaste. B) Gum irritation (gingival irritation). During the teeth whitening process a person’s gum tissue can become irritated by the bleaching gel being used. It is generally thought that the potential, at least in part, for developing gum irritation is directly related to the concentration of the peroxide found in the whitener. If this is a problem a lower concentration of carbemide peroxide can be used. It is inevitable that during home bleaching treatments some whitener will be swallowed. This phenomenon possibly takes place to a greater extent when whitening treatments are performed overnight as opposed to during waking hours. When whitener is swallowed it can cause irritation of the mucosal tissues of the throat. This irritation is only transitory in nature and should resolve on its own without treatment. When won’t a teeth bleaching system work? The results that a teeth bleaching system can produce are not always easy to predict. Most certainly some types of tooth discolouration are more resistant to lightening than others. Your dentist, as part of their initial examination, will need to determine the most likely cause of your tooth staining. Having done so they can then convey to you what type of whitening results they think can be achieved. Attempting to bleaching teeth to an unnatural level of whiteness can be expected to fail. Your dentist will not be able to unconditionally guarantee that you will be pleased with the outcome of your teeth whitening efforts. This is because many people have a very unrealistic idea of what constitutes a natural shade for teeth. Some people will compare the colour of their teeth to those people they see featured in films, on TV, or in magazine advertisements. In fact, the shade of many models and actors’ teeth fall into the realm of "unnatural." The extreme shade you see has either been achieved by a means other than by bleaching (such as by placing dental crowns or porcelain veneers) or else never existed at all and instead was created by doctoring a picture. Sometimes, in an attempt to achieve an unnatural shade of tooth whiteness, a person will exceed the treatment recommendations that accompany the bleaching system they are using. This type of whitener abuse can put the person at risk because they are using the bleaching agent in a realm beyond where the safety of the product has been evaluated. The whitening results you achieve may not be as dramatic as the results you were hoping for. Even people with realistic whitening goals may be disappointed with the results they achieve with teeth whitening treatments. The baseline colour of some people’s teeth is just naturally darker than others and therefore their teeth have less inherent potential to lighten. Additionally, some types of tooth staining are simply more resistant to lightening than others. A patient’s motivation and level of compliance with the whitening protocol’s instructions will play an important part in the overall out come of a case. But even in those situations where motivation and compliance are high, a point will be reached where further treatments do not seem to provide further whitening results. And this endpoint may or may not be the one the patient was hoping for. Teeth whitening cannot be expected to lighten existing dental work. From a practical standpoint, teeth bleaching treatments cannot be expected to make a change in the colour of existing dental work. In most cases, a person’s teeth should be whitened first and then afterwards their dental work replaced so to match the new shade of their teeth. Before the bleaching process is begun a person should have discussed with their dentist how much post bleaching dental work will be needed. The time and cost associated with replacing dental work can be significant.